Microsoft has acknowledged problems with its online gaming service Xbox Live. Like many people, my family received an Xbox 360 (from Santa) this Christmas. 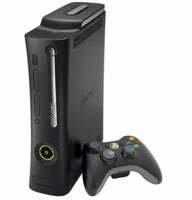 We had problems signing up for Xbox Live, recovering accounts from the previous Xbox and logging into the service to play games. Microsoft didn’t specify what the issues were, but presumably the amount of new Xbox 360s sold over the holidays had something to do with the slowdown in the service. “Our engineers are continuing to investigate and are working to resolve this issue,” said a note posted to the Xbox Live Web site.